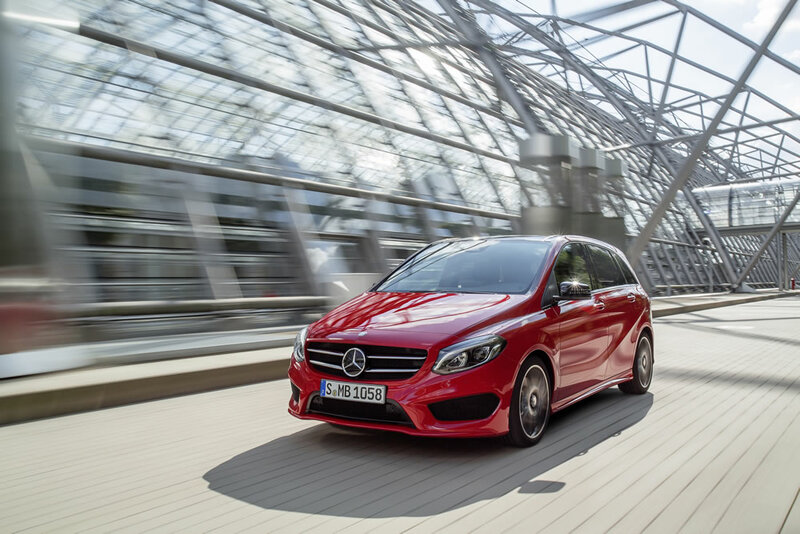 In terms of both design and technology, the second generation of the B-Class has ushered in a new compact-class era at Mercedes-Benz. More than 380,000 units of the sports tourer have been sold since its market launch in late 2011. 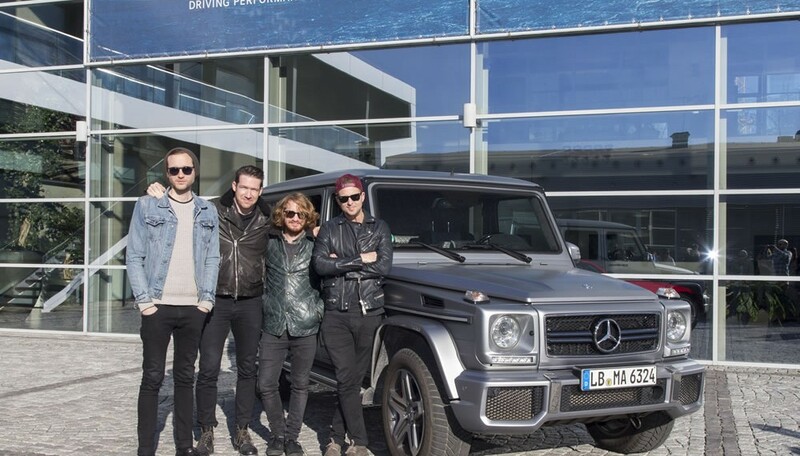 The best-seller from Mercedes-Benz has now undergone a major facelift, including exterior and interior enhancements along with attractive, redefined design and equipment lines. The breadth of choice is unique in this segment: four economical diesel models with consumption statistics ranging from 3.6 to 5.0 l/100 km, four efficient petrol engines at between 5.4 and 6.6 l/100 km, alternative drive systems (B 200 Natural Gas Drive and B-Class Electric Drive), as well as optional 4MATIC all-wheel drive. What is more, with a Cd value of less than 0.25, the sports tourer continues to be the role model in its class. Prices start at 27,102.25 euros for the B 180. The revised models will be making their way to dealerships from 29 November 2014. 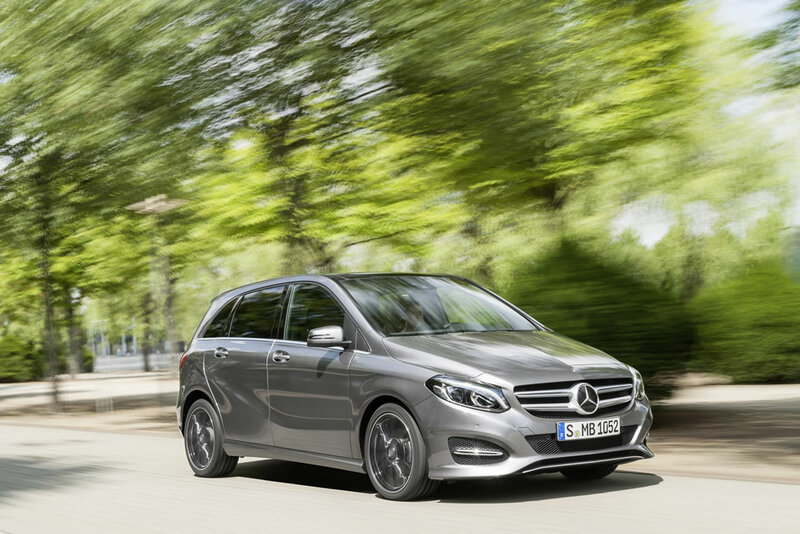 The easiest way to recognise a facelifted B-Class is from the front: a new bumper, wide radiator trim with two louvres and now integral daytime running lamps in the headlamps give the vehicle a more organic and dynamic appearance. The rear bumper has also been modified and now features a contoured covering and chrome trim strip. LED High Performance headlamps create a more striking look, both day and night (optional extra). They increase safety at night due to their wide beam pattern and light of a colour similar to daylight. Bicolour tail lamps featuring LED technology provide emphasis and make the vehicle more visible. 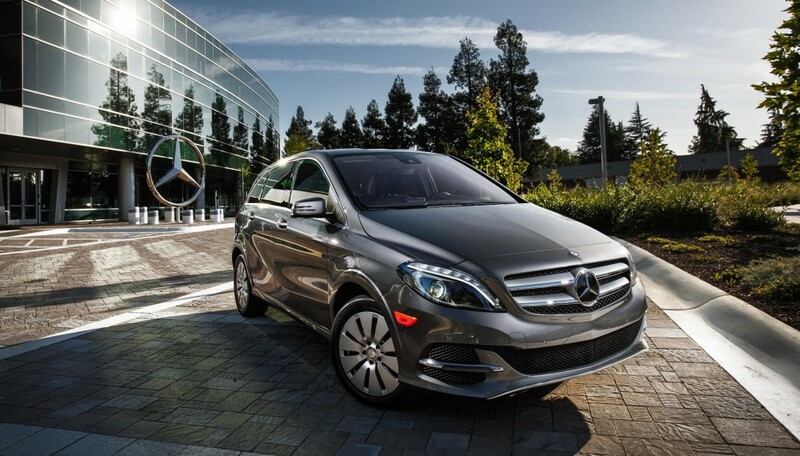 A high-grade, functional interior underscores the B-Class’s claim to leadership. The facelift gives the vehicle a more exclusive, up-to-date feel while boosting the scope for individualisation. Mercedes-Benz has enhanced a number of high-quality details in the B-Class, such as the large, free-standing head unit display, which is now larger, with a diagonal of up to 20.3 cm (8 inches), and the stylish dial layout for the instrument cluster. There is a choice of 12 colours for the ambient lighting, allowing different moods to be created. New optional extras include the KEYLESS-GO starting function – whereby the vehicle is started by pressing the starter button – and also KEYLESS-GO. This access and drive authorisation system, which also incorporates the KEYLESS‑GO starting function, allows the vehicle to be opened, started and locked simply by carrying the electronic key with you. 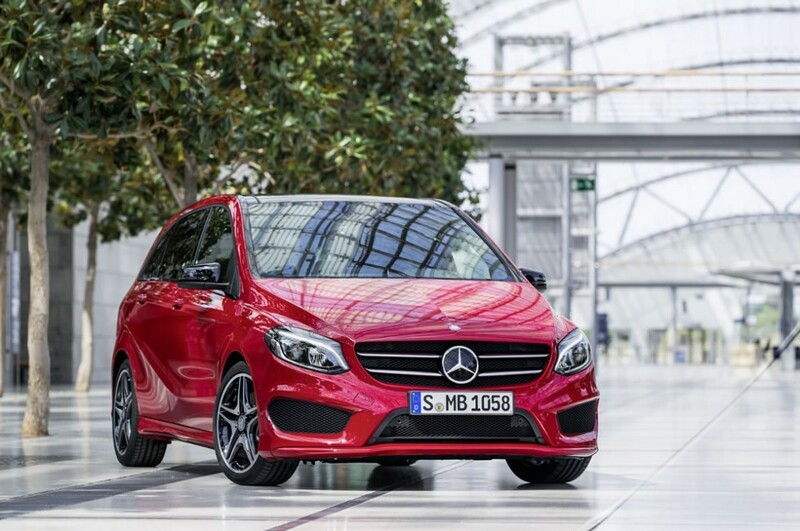 When it made its debut, the B-Class redefined the standard of safety in the compact class with a variety of new driving assistance systems, some of them included as standard equipment. These functions have now been enhanced and new assistance systems added to give the driver even more support. The standard-specification COLLISION PREVENTION ASSIST PLUS extends the functionality of COLLISION PREVENTION ASSIST with autonomous partial braking to reduce the risk of rear-end collisions. The likewise standard-specification ATTENTION ASSIST system has been similarly upgraded: operating within an extended speed range (60 – 200 km/h), it now uses a five-stage bar display to visualise the driver’s current attention level. 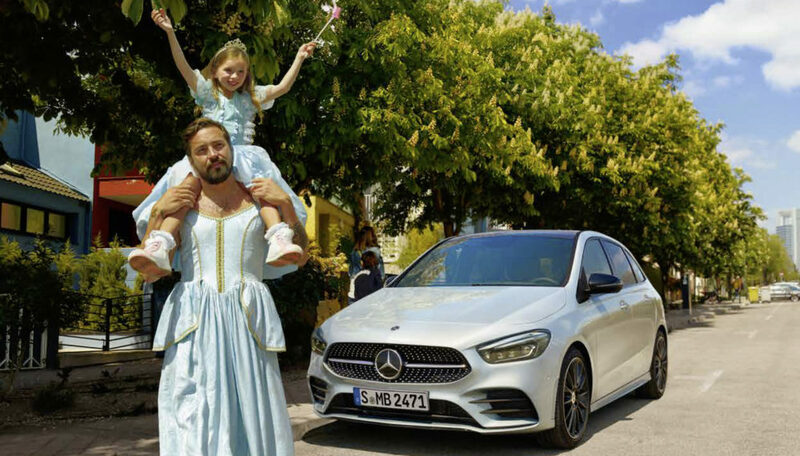 “Mercedes connect me” connects the B-Class with the world around it. Basic Mercedes connect me services can be used with the standard communications module. Available services include, for example, Accident Recovery, Maintenance Management and Breakdown Management. In an accident, the Mercedes-Benz emergency call system automatically connects the occupants with the Mercedes-Benz Emergency Call Centre and sends the position and condition of the vehicle to the rescue operations centre. A rescue vehicle can then be dispatched immediately. The system works automatically, but can also be triggered manually. The optionally available Remote Online facility allows the customer to connect to their vehicle from anywhere and at any time via “connect.mercedes.me” and, for example, to use their smartphone to find out how full the tank is. COMAND Online customers are also able to receive real-time traffic information courtesy of Live Traffic Information. 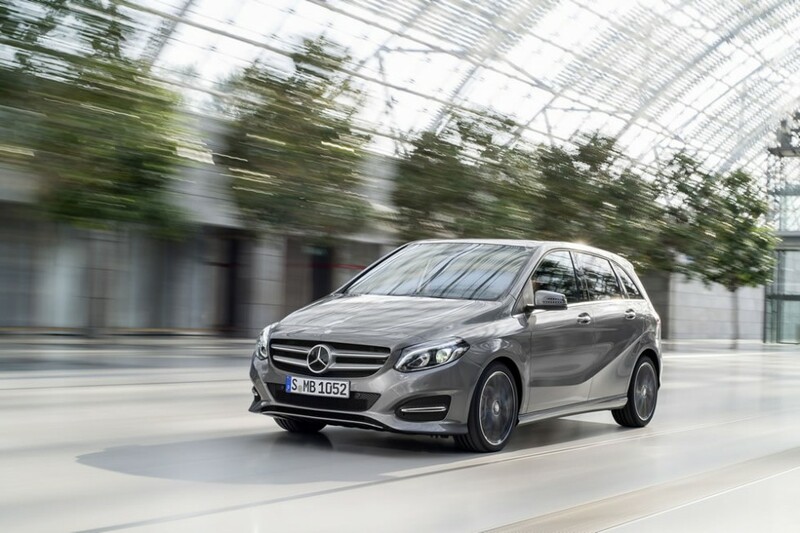 In terms of efficiency, the new B-Class continues to set the benchmark with the best Cd value in its segment (B 180 CDI BlueEFFICIENCY Edition: 0.25). The choice of efficient engines is extensive – four diesel engines, four petrol engines and two models with alternative drive systems. Also available are the B 180 (due to become available in 1st quarter of 2015) and B 180 CDI BlueEFFICIENCY Editions. 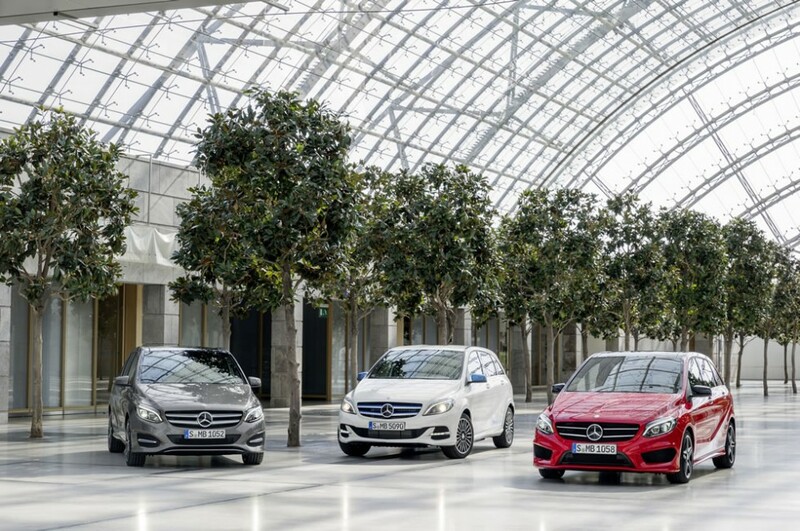 Thanks to the new B 200 CDI 4MATIC, the pleasure of all-wheel drive and safety now starts at around 130 g CO2/km instead of at over 150 g CO2/km (B 220 4MATIC) as previously. In total, there are now four models with all-wheel drive for improved traction, high driving stability and safe handling. B 200 Natural Gas Drive and B-Class Electric Drive are the two models with alternative drive. More information can be found in the separate press kit.